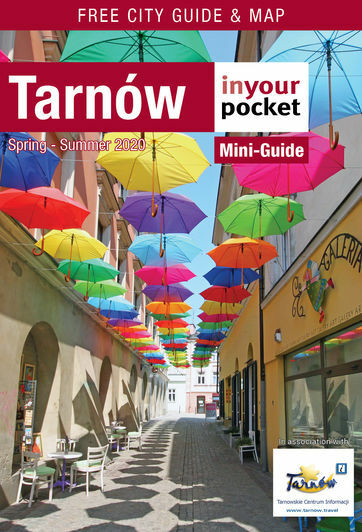 Once you've arrived in Tarnów your main mode of transport is likely to be your own feet, but buses and taxis offer a comfortable alternative to long treks to outlying hotels and tourist attractions. Taxis are not the crap shoot they once were, and using public transport is incredibly easy, even for non-Polish speakers, so use the info here to go forward with confidence. Though trams once trundled the streets of Tarnów, today the city makes do with an extensive public bus system, which runs daily from 04:00-24:00. Though most visitors will find them unnecessary for sightseeing around the Old Town, buses are essential for travelling to Mościce, St. Martin's Hill, and many hotels not located right in the centre. Bus timetables and network maps can be found online at komunikacja.tarnow.pl (in Polish only). Ticket options include timed tickets for 15mins (2.20zł, and enough to get to Mościce and St. Martin's Hill), 30mins (3zł) and 60mins (4zł), and single journey tickets for 2.40zł (3.40zł for zones I and II). Tickets are sold primarily at kiosks and newsstands (like Ruch and Kolporter) around town; note that the bus driver only sells 4zł/60min tickets. Most importantly, you must stamp your ticket immediately on boarding the bus in the small machines on-board, even if you bought your ticket on-board. Beware sneaky inspectors who regularly travel on the lines handing out costly fines to those without valid tickets. Not the dodgy enterprise it once was, most taxis are reliable and use their metres without any fiddling around. Calling ahead will get you a better fare, but if you hail one from the street make sure you choose a clearly marked cab with a company name and phone number displayed, as well as a sticker demarcating prices in the window. Taxis are now legally obliged to give you a printed receipt at journey's end further limiting the likelihood of any funny business. You can expect a standard fare to be about 7zł plus about 2.30zł per kilometre; at night and on Sundays, however, fares increase by up to 50%. Whether or not to tip your taxi driver is a bit of a point of contention. Many Poles do not consider taxis a service that necessitates a tip and thereby, if you're Polish, the driver may not expect one. But double standards being what they are, it's anticipated that foreigners will leave a tip, in which case 10% is appropriate, or simply rounding up the bill. We leave it to you.